Tony Jones was impressed by the answers from young students on Q&A. A DISCUSSION about Tony Abbott's new role as the special envoy for indigenous affairs had Q&A; host Tony Jones looking on in amazement. 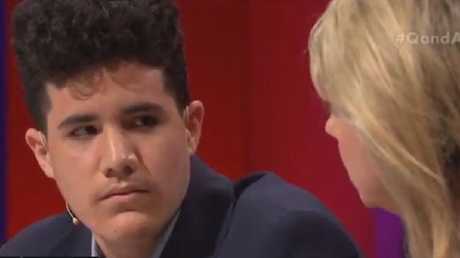 Monday night's episode featured a panel of high school students who managed to upstage the politicians, Opposition Leader in the Senate Penny Wong and National Party deputy leader Bridget McKenzie, discussing topics including climate change and LGBTI rights. One panellist in particular impressed viewers with his insightful views and had many calling for him to be the next prime minister. One of the most impressive discussions revolved around indigenous education, which started with one question about whether learning the history of the Aboriginal people should be made mandatory for students at all levels. Most of the panellists agreed that it should. "Truth telling is the first step in the process of making the drastic changes that we need for our communities," Queensland student Rueben Davis said. Fellow panellist Dylan Storer agreed, drawing from experiences at a majority indigenous school in a small community in the Kimberleys in Western Australia. "We had eight weeks of that term focused on the American civil rights movement, in the last two weeks we crammed in Australian Aboriginal history," he said of the school's curriculum. He said the country had an opportunity to acknowledge cultures that have been in this country and on its land for more than 65,000 years. "I think a lot of the racism, a lot of the hate, a lot of the misunderstanding comes from that lack of education," he said. "Teaching Australians from a young age about indigenous people can only really make the country stronger." Sydney student Joanne Tran, a member of the Young Liberals, said she was not convinced Aboriginal education was needed at all school levels, but Rueben said it was important that history was not just limited to stories of the Dreamtime being taught to younger students. He said students should also be educated about why Australia being declared "terra nullius" was terrible and these concepts couldn't be developed more until high school. "Bigotry is developed when you're going through the high school system," Rueben said. Pointing out that government MPs had actually shut down debate in parliament recently ahead of the Liberal Party leadership spill, Senator Wong said: "That's a better conversation I've heard in a long time." 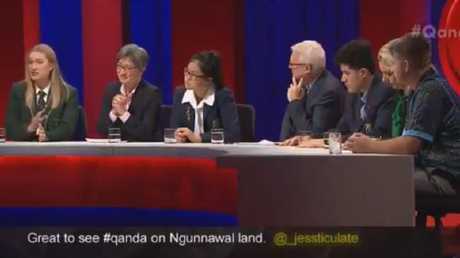 Reuben also decided to turn the question around on the politicians on the panel, asking why the parliament had rejected the Uluru Statement from the Heart, which would have given the indigenous people a voice in parliament. Rueben Davis of Eagleby, QLD on Q&A. Ms McKenzie said the parliament rejected the concept because the government didn't appreciate the details behind it. While the government was "absolutely committed" to constitutional recognition, she said it needed to be in a form that was meaningful and would actually pass a referendum. "We are absolutely committed to that, we've been working to that end for many, many years," she said. But Rueben was not buying it and used his answer to the next question to make a point about indigenous representation. When asked how Mr Abbott could get more young indigenous people into school, Reuben asked why, if parliament was committed to an indigenous voice in parliament, a "highly educated white male" was being given the position as envoy? "If you wanted a true voice, wouldn't you look at someone that our mob and someone that we want to represent us in parliament?" Dylan said, adding that he didn't think the position was necessary. Fellow panellist Dylan agreed, saying he saw the problem firsthand at his school Fitzroy Valley District High. "You see very big fluctuations day to day in attendance," he said. But he noted issues with attendance were not necessarily about students not being bothered to go, which would be the non-indigenous perspective. "You need to look at the underlying issues … they all really relate back to the way Australia was settled, colonised, invaded. That's progressed into the modern day. "This top-down approach of the government coming in and saying we're going to appoint, of all people, Tony Abbott, to deal with indigenous attendance, I think it's really counterintuitive." The thoughtful answers were met with applause and had Jones asking: "Just remind me how old you are?". To which Dylan replied: "I'm 15". 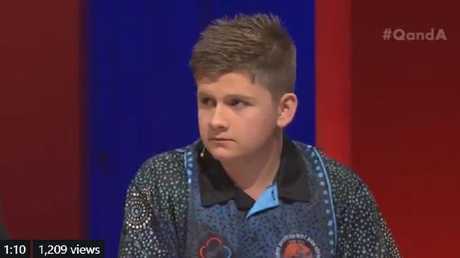 Dylan's performance on the show had some viewers encouraging him to be the next prime minister and he was also tweeted a message of support from indigenous leader Senator Pat Dodson. His name was trending on Twitter afterwards. Dylan Storer of Fitzroy Crossing, WA on Q&A. I also must say - well done Dylan. I know you’ve been asked a few times tonight to run for PM. One day. Right now your community in Fitzroy Crossing has the benefit of having you. That’s a marvellous thing. Very impressed by the young people on #qanda tonight, especially Dylan Storrar and Holly Cooke. As a professed Liberal supporter, Holly showed what a voter (and leader!) of the future will stand for. If LNP doesn’t heed this, it’s doomed. 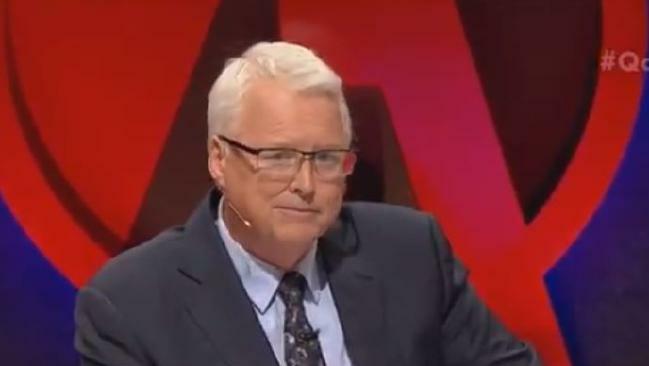 Earlier the panel had also discussed whether having a socially conservative prime minister would affect the discourse around LGBTI rights in Australia, and whether schools should have "gender whisperers" after Scott Morrison tweeted his concerns about their presence. "I disagree with him," Sydney student Joanne Tran said. "What I've learnt from the previous weeks in parliament is the leader of the party doesn't always represent the views of the party itself." Dylan said: "If his opinion was let kids be kids, really I don't see what the problem is with having these so-called gender whisperers, being able to let kids be themselves. That's really what they are entitled to be." Climate change was also brought up after one questioner asked when Australia would finally see politicians who would act. "I think if any of us choose to become politicians you'll be absolutely seeing effective policy on climate change," South Australian student Holly Cooke said. "I know in my generation this is a huge thing, climate change is real. It's happening." Holly, who has volunteered for the Young Liberals, said it was "frightening" to see Scott Morrison, who is now the prime minister, bring in a lump of coal into parliament. "We're not even in some cases debating how we should be managing climate change. In some cases we're debating whether or not it exists at all," she said. "As a young person looking at our future it's really concerning to see a lack of leadership." 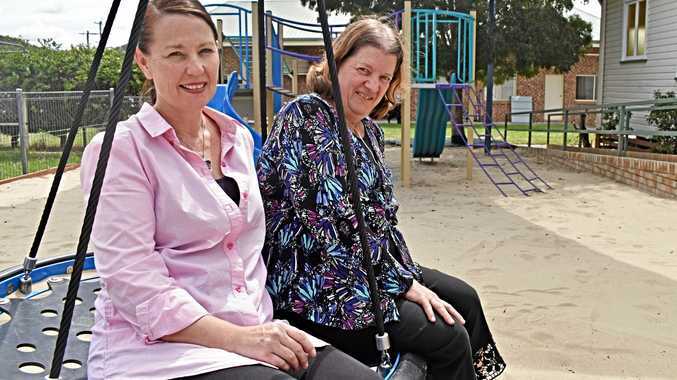 Ms McKenzie defended the government's position saying she didn't think there was anything wrong with being focused on what Australians wanted, which was to get their bills down. But when asked whether she had any idea why the Liberals got rid of Malcolm Turnbull as leader, she said: "no". "I'm not saying they made the wrong decision," the deputy Nationals leader said of the change to Mr Morrison. "What I'm seeing in the two weeks since that happened is this guy cares about the community and I've seen it first hand."